Even vehicles can gain access to the beach during the summer months. 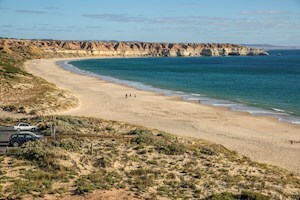 Moana is also one of the few SA beaches where vehicles can access the beach during the summer months. The town got its name from a competition held in 1927. 'Moana' was the winning entry and translates to 'ocean' in the Maori indigenous language. See what people are posting about Moana.